We are creatures of habit. Our daily lives revolve around doing activities just out of habit. And as such, we never realized how just by optimizing a few tasks we can save a lot of time and improve our daily lives. Here are 18 time-saving life hacks that will … well, change your life! #18 You can charge your phone a lot faster if you plug it in airplane mode. #17 Confused which foundation to buy? Match the color with your neck, not on your wrist or face. #16 Use nail polish to color code similar looking keys. No more confusion! #15 Put a tablespoon of baking soda in the water before boiling an egg in it. 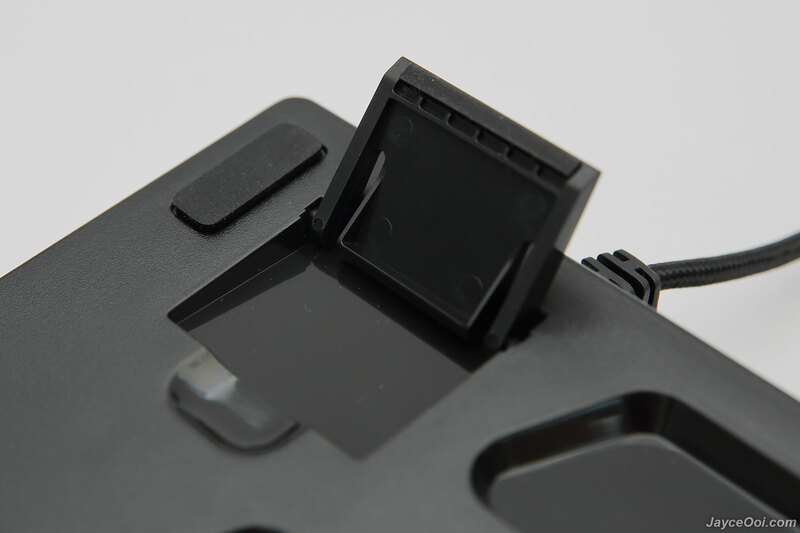 You’ll see how easy it is to remove the egg-shell. #14 Save time on ironing! Place ice cubes with your clothes in the dryer and turn it on for 15 minutes. The resulting steam will remove all the wrinkles. # 13 Some skin oils are healthy and using too much shower gel or soap will remove them. So stop, lathering on the shower gels. Cleaning your body can be much easier and quicker. #12 Protect your phone from water and moisture by putting it in a sealable plastic bag. #11 The extendable legs behind your keyboard are meant to help you type better. But if you are accustomed to typing without them then don’t use them. It might do you more harm than good. #10 Use to top of plastic bottles to hermetically seal bags that contain foods that easily dries out. #9 Ladies, use the wavy part of the hairpins on the bottom it will help you to fix your hair quickly and easily. #8 Did you know that an ordinary hairspray can easily remove lipstick marks from clothes? Rub it with a wet sponge after applying the spray then dry it out. #7 Easily cool down your drinks using salt. Fill a large bowl with 1:1 ratio of ice and water then add 2 tablespoons of salt for every 1 liter of water. Your drink will be 8-10 degrees cooler within minutes. #6 Place your food on your plate like a ring (doughnut-shaped). The food will be evenly reheated when microwaved. 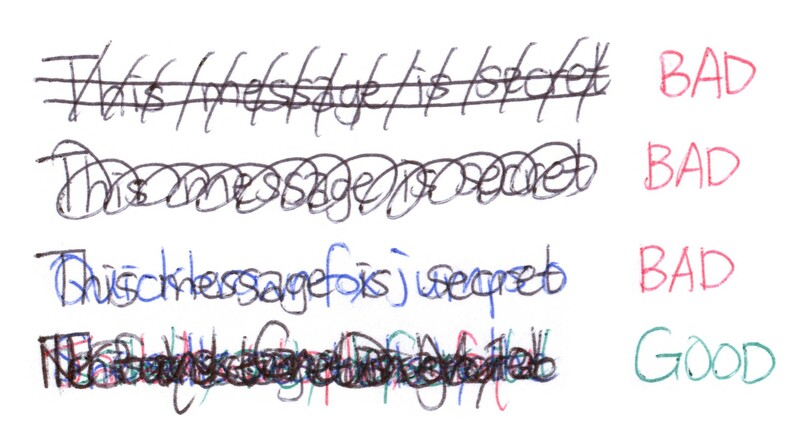 #5 If you want to make important or personal details illegible and discreet, simply write something else on top of it rather than crossing it out. It will be much harder for someone else to read. #4 Place cupcake cases on top of glasses to keep your drinks safe from dust and insects. #3 If you want your ice-cream ready to eat anytime, then put the box inside a sealed plastic bag before putting it in the freezer. 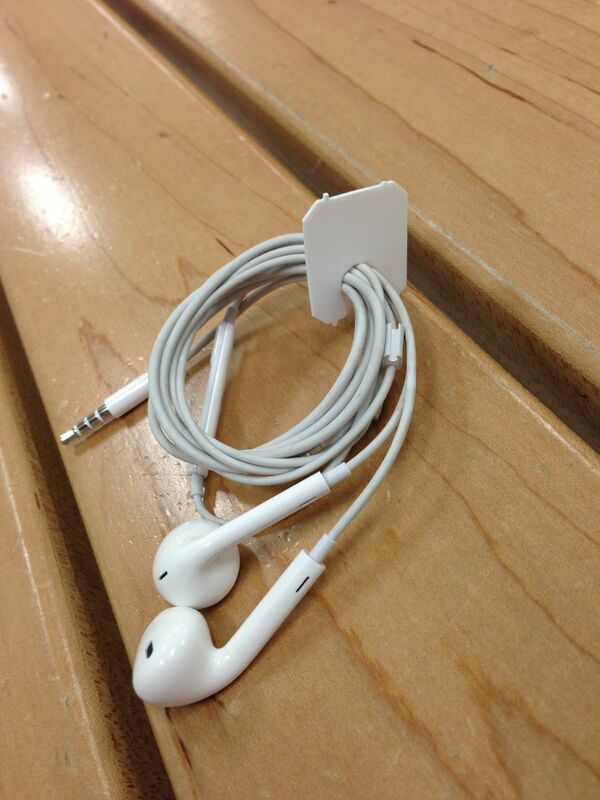 #2 Use the piece of plastic from the bread bag to keep your headphones untangled. 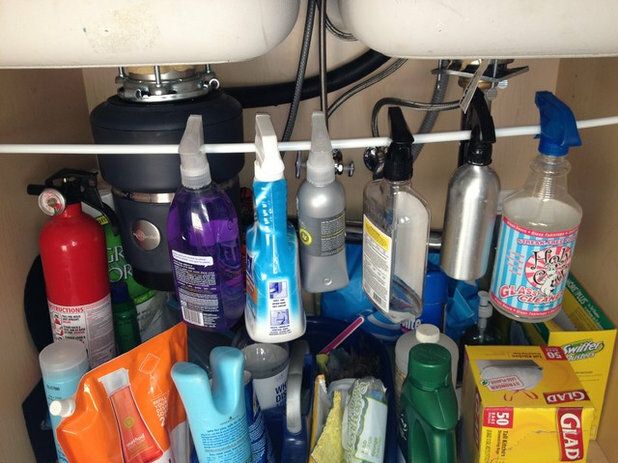 #1 If you use a tension rod to hook various cleaning sprays and bottles, you’ll have more room to store other stuff under the kitchen sink. Liked this article? See more life hacks here!